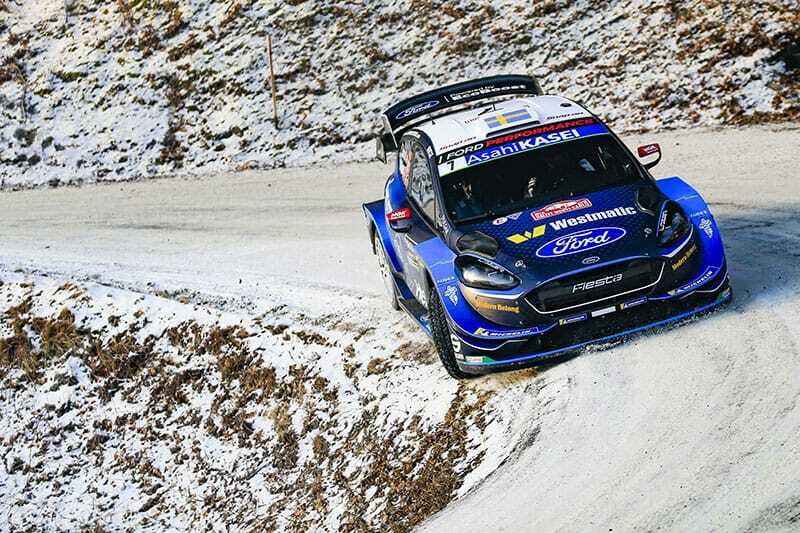 The 67th edition of the Swedish Rally sets off from the mid Swedish city of Karlstad on 14th February, the second round of the 2019 FIA World Rally Championship and where hopefully there will be the championship’s traditional feast of snow driving. The event is centred around the service park at the airport at Torsby (82km north of Karlstad) and the headquarters will be in Sunne (36km south of Torsby). Once again the Swedish is the only WRC event which has special stages in two countries – Sweden and Norway with one stage starting in Sweden, going non-stop into Norway and returning to Sweden. Norway is visited on the first full day of the rally, but most of the stages are run in the curiously named Swedish region of Varmland (meaning warm region)! The condition of the stages is always dependent on the weather pattern. 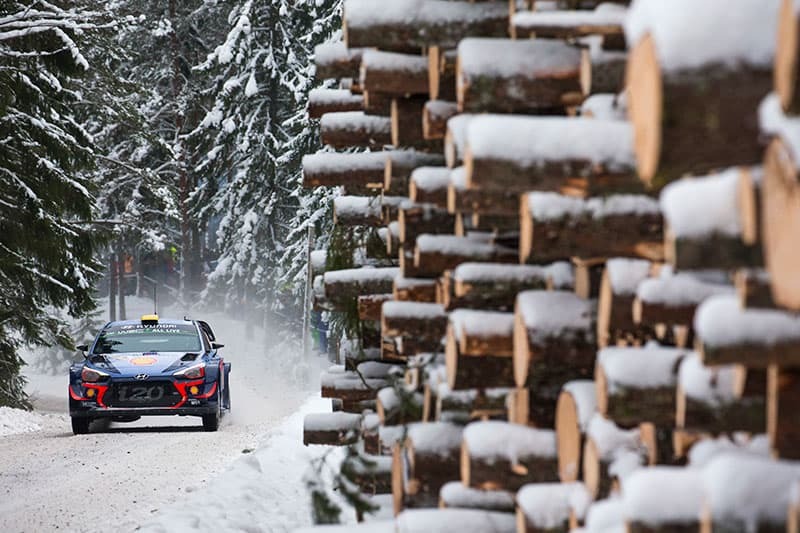 The stages can be covered in deep snow, bordered by high snow banks and requiring organisers to plough the snow off the roads – or devoid of snow forcing cars to be driven on icy gravel tracks. If as in 1990 the temperatures have risen in the weeks before the event above freezing level, preventing the ground from forming a solid basis and the gravel tracks are too soft, the event will be cancelled. Pontus Tidemand will drive an M-Sport Fiesta on his home WRC round. Currently the ground has already become solid and now the hope is for occasional thawing, so that the surfaces can be given a good smooth frozen surface. The weather forecasts change frequently and at short notice. It is impossible to predict the conditions far ahead of this event. The selected stages are familiar, special features include a superspecial at a trotting track on the outskirts of Karlstad, where the event starts straight into the stage on the Thursday evening and then on the Saturday evening which requires a 200km round trip from the forest area and back to Torsby to revisit. The most famous stage is Vargasen (midway between Hagsfors and Torsby) which features a dramatic and extensively-promoted jump called Colin’s Crest, named after the 1995 World Champion. Special celebrity entry this year comes from Finnish driver Marcus Gronholm, five times winner of the event, continuing the 51 year old, change-of-life tradition pursued earlier by fellow Finns Hannu Mikkola, Timo Salonen and Ari Vatanen by entering recent WRC Neste Rallies. Gronholm, who comes from the Swedish community in Finland, decided on this event for his final competitive appearance. He drives a Yaris WRC car. There is a wide and even variety of cars within the 63 cars entered including 14 World Rally Cars, 14 cars entered in non professional WRC2 category, 14 Junior World Rally Cars and 13 private entries who are not aligned to championships. There are also five WRC2 Pro cars (two from M-Sport, two from Skoda and one from Citroen). In all there are 30 R5 cars and three cars admitted under national car rules, two of which are the Swedish built non homologated Mitsubishi Mirage cars. The sole official Citroen WRC2 Pro entry is driven by their former WRC team driver Mads Ostberg. The special technical characteristic of the Swedish are the tyre regulations. Studded tyres, subject to strict regulations about the number, specification and installation of the studs and the top cars must fit 9” x 15” wheels and tyres. In the WRC, only Monte Carlo and Sweden allow cars to run on studded tyres, and both events run on very different tyre rules. Special feature in Sweden will be the rally for Historic cars which will be held on the Friday and Saturday in which the over-subscribed 50 entries will drive four stages each day in between the first and second runs over the stages of the WRC event. A celebrity entry for this will be Rauno Aaltonen in a Mini Cooper S. He first competed on the winter Swedish Rally in 1967. Successful 100th WRC win for Citroen at Monte Carlo was tainted by a still-unidentified engine problem for Lappi, while the nerve-wracking last morning throttle problem for Ogier is said to be a “minor problem”, now solved. No technical changes for Sweden. Two test days for both drivers near Malung. New cars for this event: chassis 20 for Ogier, 18 for Lappi. Test car continues to be chassis 15 (EY354GH). WRC2 Pro entry for Mads Ostberg in a C3 R5 run by DG Sport in Belgium (Guillaume de Mevius’ car from Monte Carlo). Only one previous Swedish Rally win for Citroen, in 2004, but Ogier himself has won the event three times. Same three drivers again – Sordo does not return till Mexico, but with a test entry meanwhile in Rali Serras de Fafe in Portugal. Best ever result for the team so far in Monte Carlo, no unexpected technical problem. One day testing for each driver near Kall in north central Sweden where Loeb crashed and the test car had to be rebuilt overnight by the team. All cars have had the new generation engines, originally seen on Neuville’s car in Australia ’18, since Monte Carlo. Same cars as in Monte Carlo, regular test car is chassis 7. Still no news about revised official positions among top team members. No participation in WRC2 Pro is planned this year. Loeb and Neuville have each won this event once – Neuville’s win in 2018 was Hyundai’s only win here. Loeb has not contested this event since 2013. Same three drivers again, Suninen and Tidemand in the same cars, but Evans will now use chassis 7. M-Sport also runs Bertelli with his own car chassis 2. Janne Tuohino’s car (chassis 6) in full 2019 specification with latest aero is run by Jan Pro Racing. No technical troubles in Monte Carlo. Pre-Swedish testing was carried out in North Finland, chosen as a location as they had run Bottas on the recent Arctic Rally. One day each for the three team drivers and two days for Bertelli. Test car was chassis 1 (XM59ORT). In WRC2 Pro the team run Gus Greensmith in chassis 263 (Camilli’s car from Rallly GB) and Lukasz Pieniazek in chassis 268 – Greensmith’s car from Monte Carlo, while M-Sport also run Japanese veteran gentleman driver, Takemi Matsuno, in chassis 277 – Pedro Heller in Australia. Ford cars have won this event six times, from 1967 up to 2012, but none of their drivers this year have even finished on the podium. All 13 R2T cars entered in JWRC are new model cars making their WRC debut, though three such vehicles competed on the Arctic rally. Main problem at Monte Carlo concerned fragile wheels which were broken when drivers cut corners, causing punctures. All pre-Swedish testing was done in Finland, all four drivers had at least two days. No special technical changes for Sweden The three team cars were the same as in Monte Carlo, Gronholm has chassis 2 (ex Hanninen). One previous victory here (2017) for TGR but Latvala has personally won four times. Tanak’s second place in 2017 was the only Swedish Rally podium among the other team drivers. This will be Latvala’s 14th Swedish – one more than Ogier’s. In 2008, 22 year old Latvala became the youngest-ever driver to win a WRC event. In 2017 he scored the first WRC victory for a Yaris WRC on this event and this time he becomes the most experienced WRC driver ever, with 197 starts, passing Carlos Sainz’s record.